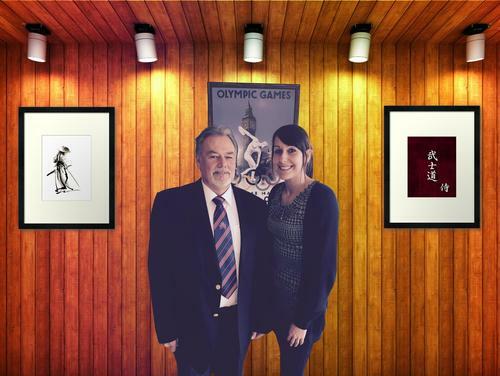 The National Association of Karate and Martial Art Schools (NAKMAS) have appointed a new National Lead Welfare Officer. Peter Traylor, Non-Executive Officer on the NAKMAS National Management Committee takes up the voluntary role on the 2nd of November 2014. Traylor, a former Senior Manager at Asda, experienced in staff training and personnel issues, has taken over the role from NAKMAS National Chair and interim Lead Welfare Officer Joe Ellis. Ellis has had the role for some years while a suitable replacement was found. Ellis took semi-retirement in December 2013 but remains active and at the helm of NAKMAS as its National Chair. Traylor said ‘I am looking forward to getting stuck into the role and working with the experienced staff at the NAKMAS Head Office. It should be an interesting new challenge’. NAKMAS has always been at the forefront of welfare issues and is a registered body with both the Disclosure and Barring Service (DBS) and Disclosure Scotland. This allows NAKMAS sufficient control over its’ instructors, club and organisation welfare officers and volunteers for the safety of its grassroots members. In addition NAKMAS has an extensive welfare policy incorporating equality, children’s welfare, ethics, health and safety and vulnerable adults’ welfare. NAKMAS National Chair and retiring Acting Lead Welfare Officer Ellis said ‘Peter works well on the NAKMAS National Management Committee and his experience in senior management has contributed enormously to NAKMAS as a whole. I wish him well in the post’. ‘We have always prioritised welfare issues and nearly a year ago, appointed a specific staff member, Helen Weekes, to the role of Welfare Administrator. Helen has introduced new systems in line with the recently merged DBS’ systems to ensure members have choice but also fulfil their legal and ethical requirements. Because of the extensive procedures, UK local authorities praise NAKMAS on its’ high standards; particularly in relation to welfare, child protection, Disclosure and equality issues. As a result, they have supported NAKMAS members whilst on their premises, with many members receiving grant awards. This is the success of NAKMAS which benefits its members’. NAKMAS also offer two training modules relating to welfare to our members: the popular Safe Kids Campaign and the Equality Awareness Module, and plan for more modules to be released. The National Association of Karate and Martial Art Schools (NAKMAS) National Governing Body is a non-funded national governing body and is a member of Sport & Recreation Alliance. With its Head Office based in Kent, NAKMAS governs all forms of traditional and modern martial arts and has over 65,000 members within the UK. NAKMAS is an approved insurance provider by ACE Europe and Hiscox and holds a National and International Quality Standard Kitemark Certificate via the BSI (British Standards Institute).